At the house where I grew up there were always violets (Viola odorata) in a flower bed that was under the oldest apple tree. The beautiful purple flowers grew out into the yard nearby little by little each year until the early spring grass was riddled with purple. Before my parents sold this home I went to dig up several plants to start my own patch. This year was the first time that the flowers have spread out into the verdant green of our yard. The sight was a lure, pulling me outside with my daughter to collect violet medicine. 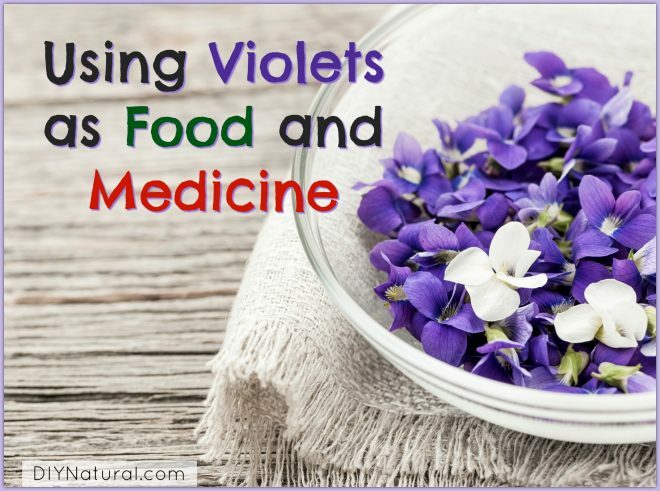 Right now the internet is littered with articles about violets and recipes are plentiful. I couldn’t resist adding just one more article to the fray. Most people think only of a purple bloom when they imagine this flower. The truth is, you can find violet species growing wild throughout the United States in shades of white, purple, and yellow. They share some common traits. They all tend to be small plants, growing a maximum of 4-6 inches high, their flower structure is similar, and they all have heart shaped leaves. Freshly picked flowers and leaves added to a foraged salad is delicious! Be careful not to pick all the leaves from any one plant. Pick only a few from each so that you can come back in a few days and collect another salad. Infusing purple violet flowers into white wine vinegar makes just about the prettiest herbal potion you can imagine. In two weeks you can strain off the flowers and keep this jewel colored vinegar around for Homemade Vinaigrettes or oxymels. Many people make syrups with either the flowers alone or the flower and the leaves. It’s tough to keep the temperature low enough while making this preparation to maintain the Vitamin C, but you can still use it for a cold and cough syrup or gentle laxative for young kids. Both the leaves and flowers are perfect for tea-making. If you have young kids, have them help you collect the goods. There is something magical about having tea time with flower tea. Violet leaf tincture is really helpful for those who need to work on their lymphatic system. 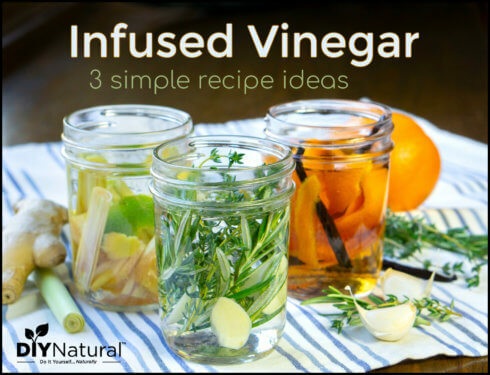 You may choose to tincture in vinegar or alcohol, but if you want something a bit tastier you can go for vegetable glycerine. Violet leaf and flower, freshly ground and placed on the skin, has been very helpful in shrinking tumors on the skin, breasts, and other lymphatic locations. 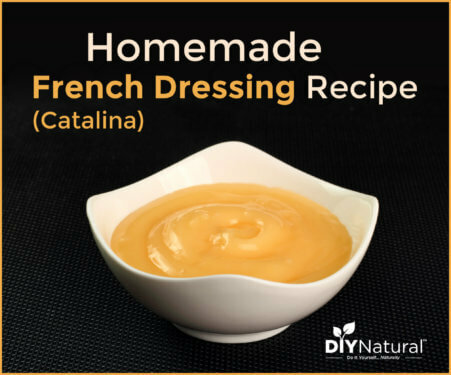 If you are hoping to give this a try, be aware that fresh is best. You’ll want to grind up plenty of violets and freeze the mixture for later use. I freeze off-season poultice material in ice cube trays and keep them in a labeled freezer bag. Candied violet flowers are beautiful when added as decorations to special cakes or confections. You’ll want to collect the flowers and get them sugared immediately since these flowers are pretty delicate and begin to wilt quickly. The fresh leaves, when steamed or added to a casserole or breakfast dish, make a nutritious and delicious vegetable. However you enjoy your violets this season, remember to leave some for the bees and a bit more besides to be sure they multiply. Once you start eating them you’ll need more and more each year to fill your cravings! I love this my grandms alwsys haf violets; she called then johnny jimp ups. we make violet jelly very spring. when my grandson sees the first violet flower he gets excited. They are related but not the same. Pansies and Johnny jump-ups are both Viola tricolor. They have their own health benefits. V. tricolor and V. odorata differ in flower morphology and growth habit, and I believe that their leaves are different as well.